♺ All Natural, NO Chemicals, NO ACIDS, Cleans All Dusts and stains, Free of Alcoholic substances, Best for iPhone, iPad, Computers, Laptop, Touch screens etc. 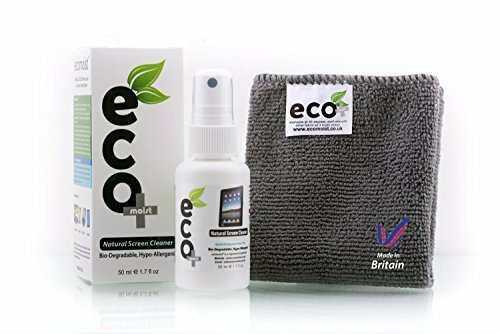 Eco Moist screen cleaner KIT. It is made from 100% natural herbal constituents, refined on the basis of finest herbal veins theory. Free of acids and alcoholic substances. ♺ Direction of use: Simply spray on the microfibre towel (included in the box) and gently wipe the existing dust and stain areas of the screen.